It is time for the final major of the year, the PGA Championship. Perhaps the least renowned major tournament of the four, the PGA Championship doesn’t demand the same attention for the casual fan, as the Masters or the Open Championship, but you can be sure the players still have it circled as a tournament they want to win. Justin Thomas broke his major duck in this event last season, and he was the third straight player to grab their first major trophy here. Jimmy Walker was victorious in 2016, 12 months after Jason Day eventually broke through, after years of contending in the big four. In fact seven of the last nine winners of this event have made the PGA Championship their first and so far only major victory, which will inspire those without a major victory to go on and contend here. Patrick Reed (Masters) and Francesco Molinari (Open Championship) have already won majors for the first time this year, and there are plenty of contenders who will be hoping to do the same here. Jon Rahm and Tommy Fleetwood, who are both in the top dozen players in the betting this week are just two of the leading contenders to breakthrough on the major front this week, and both will fancy their chances strongly, as they look to cap of successful seasons. Whilst Rahm has missed his last two major cuts, it is important to remember he has won three times already this season and finished 4th in just his second Masters start, highlighting his bright future in the game. Fleetwood has finished T17, 2nd and T12 in the majors so far this year, so will be hoping to cap that fine run of form of this week. He has now thrown everything at these big events, and it currently feels like a case of when, not if, he will get over the line. Another lengthy Par 70, similar to last week at Firestone, the players will need to score well on the Par 4’s this week, and those that can gain some yards off the tee will certainly look to have an advantage. With just two Par 5’s on the course, birdies will have to be found elsewhere, especially as the first Par 5 the players will see this week is no straight forward birdie attempt. The 610-yard 8th hole is a lay-up hole for most, which is made tougher when a creek comes into play down the right-hand side. There are some that will be able to go for the green in two, but it will take two strong hits. Originally designed by Robert Trent Jones Sr. Bellerive was remodelled in 2006 by his son, Rees Jones in 2006. Rees was also responsible for restorations at Torrey Pines (Farmers Insurance Open, 2008 U.S. Open), Oakland Hills (2008 PGA), Atlanta Athletic Golf Club (2011 PGA Championship) Bethpage Black (2009 U.S. Open, 2012/2016 The Barclays) and East Lake, where the FedEx Cup and the PGA Tour season concludes each year, amongst a few others. Robert Trent Jones Sr. was well known for his designs and/or re-designs at Firestone CC (WGC Bridgestone), Hazeltine (02′ and 09′ PGA, 16′ Ryder Cup) and Chambers Bay (2015 U.S. Open). Good results on these courses, as well as though where Rees Jones has remodelled, are certainly worth looking into, as with the same course designer/re-designer, comes similarities. This course has hosted the 1992 PGA Championship, as well as the 2008 BMW Championship, with the latTer more likely to be the better pointer. The course changed plenty when Rees Jones got his hands on it in 2006, and whilst the conditions were soft that week, a 15-under-par winning score that week shows what can be achieved here, if the conditions and setup allow. With only a handful of players having course experience under their belt here, it is a fairly even playing field, and I would favour those that are in current form, as opposed to trying to get too caught up in course suitability. Once again SG: Tee-to-Green will play a big part in a winner’s game this week, as it does most weeks, whilst Par 4 Scoring Average will once again be worth a look. Whilst it will be advantageous to have length off the tee, given the length of some of the holes here (6 par 4’s over 450 yards), it also looks to be a course where good course managers can plot their way around. There are some holes though, where the big hitters will be only too willing to show their power, especially on the driveable 11th hole. A large pond guards the green on the 11th hole, so the sensible play would be to avoid going for it, but if scores need to be made, the opportunity is there. There a few Par 4’s where a driver and a wedge will get you there, but there are also plenty of hazards to be wary of, so it definitely looks as though there’s some thinking to do around here. Whilst Walker and Dufner are shy of elite status, Thomas, Day and Rory are amongst the World’s best, with all three reaching World No.1 in their careers, and Thomas has a chance of making it back there this week. This event can of course throw up surprise winners, Shaun Micheel (2003) the most obvious example of that, and it’s an event that has a relatively even share of fancied and unfancied winners. If a player who lacks a major trophy is riding a good wave of form in recent weeks and indeed the season, it is certainly worth given them a shot at this major, as it seems to be the one nearest to a regular season event, when it comes to pressure and difficulty. 14 of the last 22 PGA Championship winners were winning their first major championship, including the last three straight. 7 of the last 8 PGA Championship winners had a top-25 finish on their last start, Justin Thomas (2017) was the exception, finishing T28 at Firestone a week earlier. Ever since the WGC Bridgestone moved to week before the PGA Championship, every winner of this event has played in Akron the week before, with all finishing T28 or better. With fears of the back spasms that kept him out of the Bridgestone Invitational reoccurring this week, there is doubt over Rose’s chances here, but at 22/1 I am willing to take a gamble. Rose is a model of consistency with 18 top-10 finishes in his last 23 starts, and that is absolutely the best way to prepare for a major championship. His T2 at the Open Championship was just further evidence of his stellar competitiveness and belief in his game. Staring a missed cut in the face on Friday, Rose bounced back, made the weekend and then worked his way all the way up to the top of the leaderboard come Sunday evening. A man clearly for the big occasion, it is surprising that Rose still only has one major win to his name, the 2013 U.S. Open. You can tell he gained plenty of confidence from that week at Merion though, and it is more of a case of some good fortune required, then an improvement in play, to double his major tally. If fit, this course will be right up Rose’s alley, with the Englishman showing a fair liking to the Jones’ designs over the years. He has finished inside the top-8 in each of his last two visits to Torrey Pines, inside the top-10 on five occasions at Firestone, including a T2 in 2007 and also nabbed a T9 finish at the 2008 PGA Championship, held at Jones designed, Oakland Hills. 7th in SG: Tee-to-Green, 8th in SG: Putting and no worse than 36th in the three remaining categories tell you everything you need to know. Rose ranks 2nd in SG: Total because his whole game is in fine order and he will need to lean on all of that this week. He also ranks 2nd in Par 4 Scoring Average on the PGA Tour this season, which should serve him well here. Two top-4 finishes in this event since 2012 and three top-10’s in total suggest he can contend in this major, especially when in the form he has been of late, and it is just a case of whether his fitness allows him to compete at 100%. I would hazard a guess that last week’s withdrawal was to prepare the best he can for this week, given him the absolute best chance of being fully healthy. 22/1 about one of the most in-form players in the world of golf is plenty fair, even with the back concerns. An awful finish on Sunday, Day threw away a good chance of adding a third WGC title to his collection, at the Bridgestone Invitational. Keen not to dwell on one Sunday performance, on a course or specifically one hole (the 16th)where the Aussie has struggled in the past, I am keen to look at Day’s credentials of winning this week’s PGA Championship. He romped home to a three-stroke victory in this event in 2015, to win his first major title and his third win of the season, adding two in the FedEx Cup play-offs as well to boot. An eerily similar season from a success stand-point this time around, Day must surely be considered this week. His T10 this past weekend, which should have been so much better, was his third T17 finish in succession and already a two-time winner this season, it is all systems go as we head into the final stages of the system. Unlike the American and European players, there is no Ryder Cup distraction for Day, who will play the President’s Cup next season so it will be all business this week and in the FedEx Cup play-offs. Day was always a regular contender in major championships, even before his 2015 PGA Championship victory, and he has posted another four major top-10’s since, and missed just two cuts in that time. Top-20 finishes at the Masters and the Open so far this season will not be enough to satisfy Day’s lofty expectations and this event presents will a great opportunity to put things right. In eight PGA Championship starts, Day has a win, a 2nd and three more top-10’s, as well as another T15 finish in 2014. This is an impressive record and one he will be confident of adding to that haul here. His season has been built around an incredible short game, leading the Tour in SG: Around-the-Green and SG: Putting, as well as ranking 33rd and 38th in SG: Off-the-tee and Tee-to-Green respectively. His approach numbers (141st in GIR and 165th in SG: Approach overall) have been a concern all season long, but he has still managed to get the two wins and salvage good results elsewhere. One of those two wins came at Torrey Pines, where he is now a two-time winner and his form there, Firestone (three top-10’s) and Baltusrol (2nd in 2016 PGA Championship) prove he likes the courses the Jones family put together. A T4 at the 2016 Barclays at Bethpage Black strengthens the theory that he enjoys Jones’ layouts and can only help his chances. On his day (pardon the pun), he is as impressive as anybody off of the tee, and he can couple that with his stellar short game, en-route to victory this week. I am happy to forgive the poor finish yesterday, as we know he can certainly put disappointment behind him. At 25/1 I think he is more than fairly priced to go well. After finishing T2 in this event last season, Louis Oosthuizen now has one win (2010 Open Championship) and four runner-up finishes across the four majors. His loss at the Masters came at the magical hands of Bubba Watson who hit a miraculous shot from the pine straw to beat him in a play-off, and he suffered a similar fate at the Open Championship three years later. Zach Johnson got the better of Oosthuizen during their play-off at St.Andrews in 2015, the venue the South African had won his first and so far only major at just five years prior. 2015 was also the year Oosthuizen finished 2nd at the U.S. Open when both he and Dustin Johnson fell one short of Jordan Spieth at the Robert Trent Jones Jr designed, Chambers Bay. Oosthuizen has been solid, if unspectacular at the majors this season, but his current run of form of five straight top-28 finishes suggests he could be about to post his best finish in the big four this season. A steady T12 at Augusta kicked things off on the his hunt for a second major, and this was followed by T16 and T28 efforts at the U.S. Open and Open Championship respectively and he can better the lot this week. A final-round 74 this past Sunday cost him a much better showing at Firestone, but he finished T24 at that is inside the magic number when looking for a PGA Championship winner. With 10 places on offer, there looks to be plenty of value in Oosthuizen at 66/1, with 70/1 and 80/1 also available if you want to sacrifice places for better odds. A classy performer on his day, Oosthuizen is very much a player you can expect to give you a run at the win in these big events, with five of his six major top-10’s being either a win or a top-2 finish. A former PGA Championship winner, Keegan Bradley comes into this week with a 4th place finish last time out, at the RBC Canadian Open. He will have been disappointed to miss out on the chance to play Firestone CC one more time, a course where he has won and impressed at on a consistent basis over the years. His record at the Bridgestone Invitational reads T15-1-T2-T4-T17, showing his obvious admiration for the Robert Trent Jones Sr re-design. Bradley won his PGA Championship trophy in 2011, at Atlanta Athletic Club, another Jones Sr design, which as we know was also redesigned by son, Rees Jones in 2003. With a win in Atlanta and his form at Firestone alone, it is clear he likes the course designs the Jones family put together, but he’s also a huge fan of Torrey Pines, where he has top-5 finishes in each of the last two seasons, and five top-25’s overall. The former Ryder Cup star has been playing brilliantly without success over the past two seasons, and it is about time he added another victory to his résumé. He is clearly striking the ball is well as ever, it just depends on whether the short stick behaves enough for him to claim victory. At 100/1 I am willing to gamble on him finding his rhythm on the putting surfaces, and get back to the winners’ circle, where he very clearly belongs. One win could propel him back to the top of world golf, where for a couple of years he certainly looked destined to be headed. With 10 places on offer, he just needs a top-10 to ensure a 20/1 pay-out, which seems good value for a player of his undoubted ability, in a major championship he has won before. You can get up to 125/1 if you want to take 5 places only, but given his putting woes, I like the cushion of the extra places. Kevin Kisner has had chances at major championships before, and whilst he hasn’t won this season, nor did he finish inside the top-28 last week, I still rate his chances of going well again. Kisner led or co-led for the first 54 holes of the 2017 PGA Championship and the 2018 Open Championship, finishing T7 and T2 respectively. Kisner also sat T6 going into the final round of the 2016 PGA, to show he has major pedigree when the course suits. With runner-up finishes at both the WGC Match-Play, where he well beaten by Bubba Watson, and the Open Championship, where he couldn’t quite hold it together enough in the final round, it has been a nearly year for Kisner who won for the second time on the PGA Tour last season. A four-time play-off loser on the PGA Tour, there are obvious concerns about Kisner’s mental strength when in and around the lead, but there is no doubting his ability to get out in front and eventually he may just fall over the line in one of these big events. Whilst he wouldn’t be top of my list when I think of potential major champions, there’s evidence to suggest he has every chance of winning one and his price was big enough for me to give him more of a chance than his odds suggest. A player who has improved greatly since turning 30, Kisner still has time on his side to become a more regular winner, despite the competition getting tougher with every passing season. 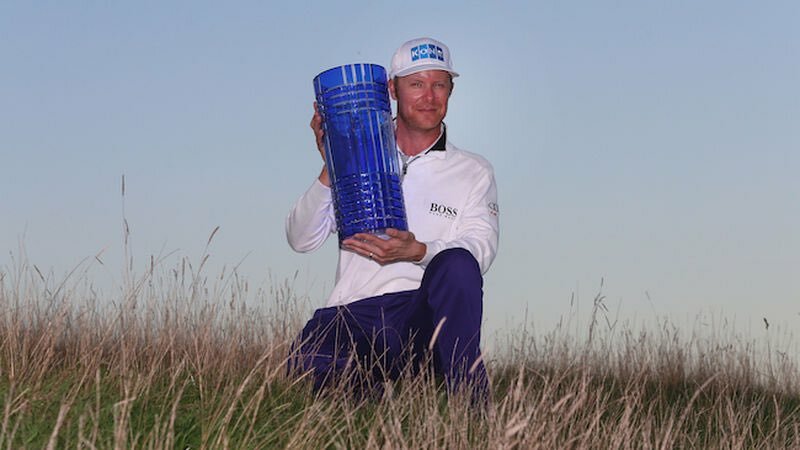 At 125/1 he is too big with 8 places on offer, given his efforts in this event over the past two years, as well as his strong effort at the Open Championship, where he was far from fancied.